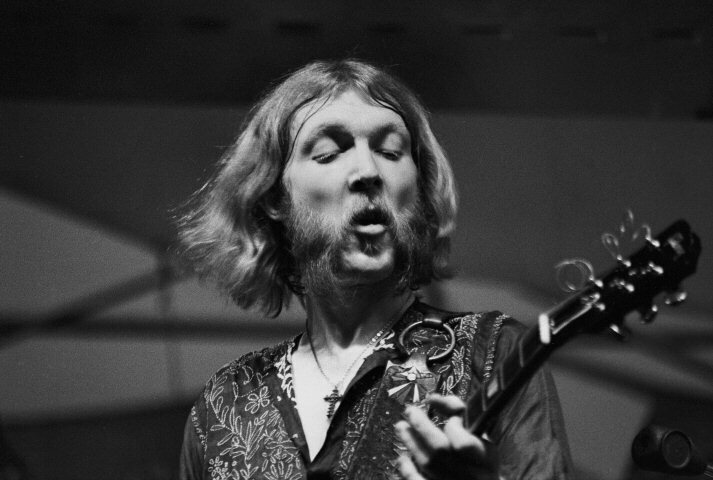 Howard Duane Allman (November 20, 1946 – October 29, 1971) was an American guitarist, session musician and the primary leader and co-founder of the The Allman Brothers Band, until his death in a motorcycle accident in 1971 at the age of 24. 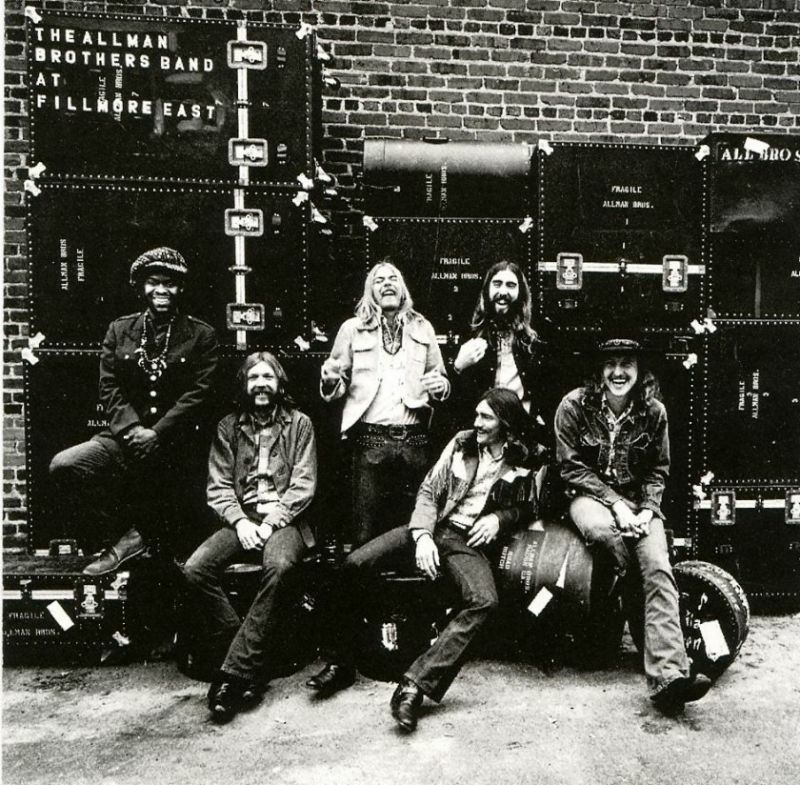 The Allman Brothers Band was formed in 1969 and, unusual for the time, based in the Southeastern United States. In the early 1970s the band was hugely successful. 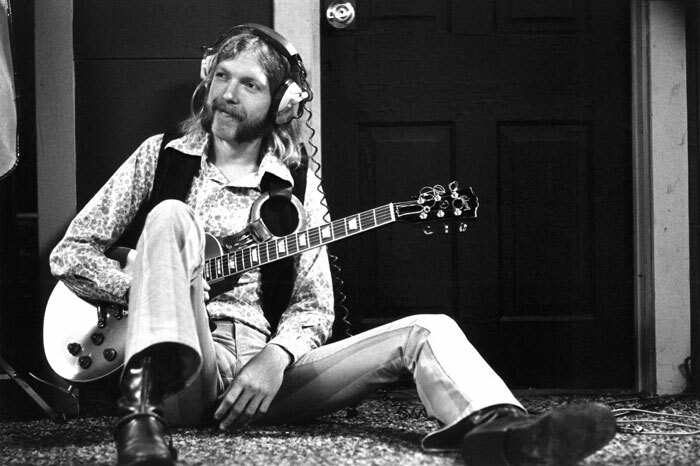 Duane is best remembered for his brief but influential tenure in the band, and in particular for his expressive slide guitar playing and inventive improvisational skills. In 2003, Rolling Stone magazine ranked Allman at #2 in their list of the 100 greatest guitarists of all time, second only to Jimi Hendrix and in 2011 he was ranked #9. His tone (achieved with a Gibson Les Paul and two 50-watt bass Marshall amplifiers) was named one of the greatest guitar tones of all time by Guitar Player. Duane Allman’s skills as a guitarist were complemented by personal qualities such as his intensity, drive and ability to draw the best out of others in making music. He is still referred to by his nickname “Skydog”. Whereas most great live rock albums are about energy, At Fillmore East is like a great live jazz session, where the pleasure comes from the musicians’ interaction and playing. The great thing about that is, the original album that brought the Allmans so much acclaim is as notable for its clever studio editing as it is for its performances. Producer Tom Dowd skillfully trimmed some of the performances down to relatively concise running time (edits later restored on the double-disc set The Fillmore Concerts), at times condensing several performances into one track. Far from being a sacrilege, this tactic helps present the Allmans in their best light, since even if the music isn’t necessarily concise (three tracks run over ten minutes, with two in the 20-minute range), it does showcase the group’s terrific instrumental interplay, letting each member (but particularly guitarist Duane and keyboardist/vocalist Gregg) shine. Even after the release of the unedited concerts, this original double album (single CD) remains the pinnacle of the Allmans and Southern rock at its most elastic, bluesy, and jazzy.